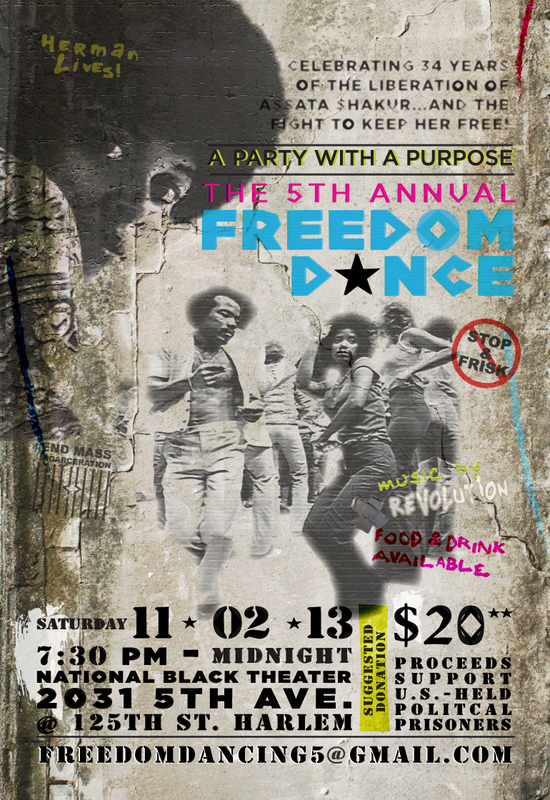 The Fifth Annual FREEDOM DANCE will celebrate the 34th year of freedom since Assata Shakur’s liberation. Come dance and celebrate to Free All Political Prisoners. All proceeds go U.S. Political Prisoners. Please contact the organizers directly with any questions on how the money is handled. All of their contact info is below. Have a great time! Celebrate a great victory and get some extra energy to continue the work to Free All Political Prisoners!